Golf is a popular sport in corporate America and adds about $70 billion dollars a year to the American economy. Companies are always testing new products that will catch the attention of golfers. The 2018 PGA Merchandise Show displayed the latest and greatest from golf manufacturers; everything from top of the line golf clubs to 3D printed golf balls. These tech savvy products are aimed at bringing golf to the attention of the younger generation. Research and Development tax credits are available to companies that partake in the improvement of existing products or the creation of new ones. Callaway Golf recently announced a collaboration with Titomic, an Australian additive manufacturing company. Callaway plans to bring additive manufacturing into the golf world while also improving performance and efficiency. Titomic developed a new process for 3D metal printing called Titomic Kinetic Fusion. This process uses cold gas spraying to apply titanium particles to a structure to create parts that can withstand a great amount of force. Research and development of the prototypes will be produced at Titomic’s Melbourne facility which houses the world’s largest 3D metal printer. This isn’t the first instance of additive manufacturing in the golf industry, as last year Krone Golf created a 3D printed golf club. Krone Golf and CRP Group designed a club that was created by using a mixture of additive manufacturing and subtractive manufacturing. Designing the perfect golf club is a difficult task. Some aspects to take into consideration include swing, impact and follow-through. Restrictions such as size and weight of competitive golf clubs make it hard to develop new clubs. The miniscule characteristics of a club need to be altered in order to improve performance and additive manufacturing provides a way to make the changes needed for the development of new clubs. The body of the KD-1 driver is made from a Windform SP carbon composite that is resistant to shock and vibration, while the face is made of Ti 6AI-4V, a durable titanium alloy that is CNC machined and sanded for smoothness. Krone Golf is fascinated with how well the CNC machined parts and the Windform material work together exactly as designed. The performance test and computer simulations show the KD-1 to outperform any driver on the market today. Golfers who want to separate themselves from the crowd will want to look to Grismont Paris. Grismont Paris produces 3D printed, custom-made golf clubs that can be finished in gold, copper, or metal. Clement Pouget-Osmont, a passionate golfer, started off making club heads for himself and friends out of his apartment in France. Now Grismont collaborates with engineers, artists, craftsmen, and clubmakers to create custom tailored 3D printed golf clubs unlike anything else on the market. 3D printing artists work together with engineers to create a harmonious balance between style and performance. Several aspects of a golf club can be adjusted to better fit the customer including center of gravity position, lie, loft, offset, club head weight, weight distribution, and handedness. You have the option to either put in your specifications online or you can arrange a fitting session where experts will tailor your golf clubs to your every demand. Nike is prototyping a 3D printed golf ball that is engineered to last longer and outperform even the best of golf balls on the market. Nike isn’t new to producing top of the line golf balls. The athletic company still uses elastomeric material for an inner core and a rigid material for an outer core, but 3D printing improves this process by conducting smoother transitions between materials and adding a new type of geometric configuration called a void, which could lead to performance enhancements. Nike is prototyping with different configurations, such as forming each shell layer away from the work surface, a type of assembly that is unattainable through traditional methods. Lastly, golf balls would be fused with DuPont Surlyn by using a 3D printing technique called fused deposition. While the golf ball is not on the market yet, expect Nike to announce the product in the near future. 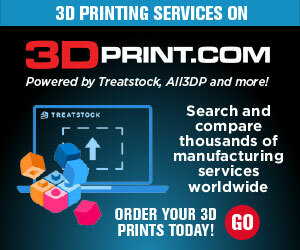 For the golfers who want to 3D print on their own, Thingiverse has creations available to anyone. Makerbot, the company behind Thingiverse, designed a golfing kit that anyone can print. The kit includes CAD models for golf tees, golf forks (divot repair tool), and ball marker. The golf fork and ball marker can even be customized to display your initials or logo on the face. The golf industry is constantly trying new methods of manufacturing in the quest for better performance. Club manufacturers, even brand names such as Callaway, are utilizing 3D printing in the production process in order to improve the smallest technical aspects of the golf club unattainable using traditional manufacturing methods such as injection or compression molding. Grismont is taking 3D printing to the next level by 3D printing custom-made heads and fine tuning them into top-of-the-line luxury golf clubs. 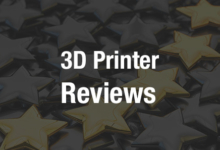 3D printing has a strong future in the golf industry and as more companies research the potentials of additive manufacturing, expect 3D printed products to become widespread in the golfing world. Charles Goulding and John Chin of R&D Tax Savers discuss 3D printed golf equipment.